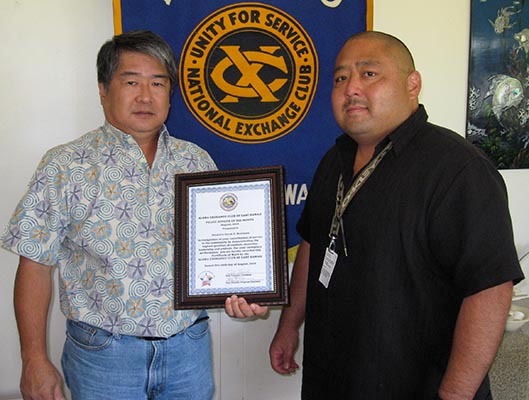 The Aloha Exchange Club of East Hawai’i recognized Detective Derek Morimoto on Thursday (August 26) as “Officer of the Month” for August. Morimoto, who is assigned to the Area I Criminal Investigations Section, was honored for his investigation of a crime spree that resulted in more than 50 police reports since the beginning of the year. The crimes included car break-ins, burglaries, thefts, identity thefts, forgeries and fraudulent use of credit cards. Due to Morimoto’s coordination of all the cases, a newly-arrived Honoka’a man was charged with first-degree burglary, fraudulent use of a credit card, identity theft, forgery, accomplice to fraudulent use of a credit card, two counts of second-degree theft and two counts of first-degree accomplice to unauthorized entry into a motor vehicle. His initial bail was set at $105,000. 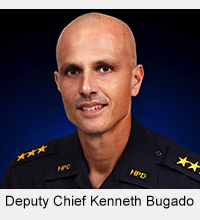 Police cleared 22 additional auto break-in cases because of Detective Morimoto’s efforts. 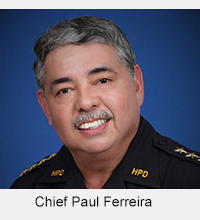 The East Hawaii “Officer of the Month” award is a project of the Aloha Exchange Club of Hilo.